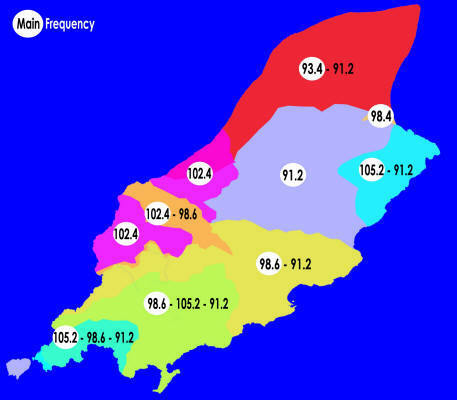 Energy FM broadcasts on many different frequencies around the Isle of Man. Simply look where you live and tune in to the frequency shown on the map. Some areas will receive more than one frequency so listeners are recommended to try alternative frequencies and judge which one gives the best reception. You can also listen online using Radio Player - See Menu Bar above.